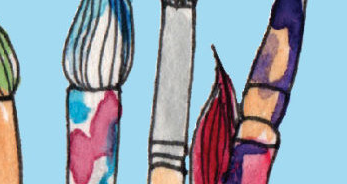 Whilst the service Creative Response provides is based on a broad range of the visual arts i.e. drawing, collage, sculpture, ceramics, plaster work, printmaking and dyeing, we also encourage producing, directing for performance, movement, drama, dance, music making, audio and video recordings. We have a jazz/soul/blues trio Eden Blacklist who are very visible locally and have been involved in a collaborative project over the last year with StopGap Dance. Regular exhibitions of participants' work are mounted and we also encourage them to take part in other exhibitions around the country, all of which offers a vital focus to their work and nurtures their confidence and self-development. We run in line with Surrey County Council Schools but run specialist workshops in the holidays which are funded seperately. 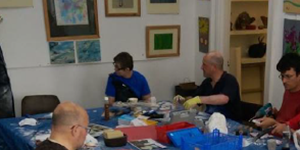 We run a programme of supported art sessions for vulnerable adults from 10am -3pm, Tuesday to Friday and a Peer Support Group on Mondays 10am-3pm. 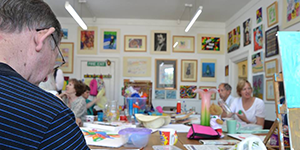 We also offer a very successful Outreach service that is run by our resident Art Therapist, this service has engaged some very vulnerable, isolated individuals. 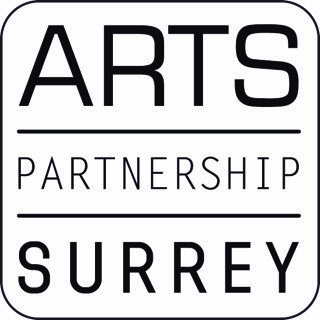 We currently run an outreach project in Cranleigh and are open to working alongside other charities and organistions to share resources to enable better support. We are involved in many joint projects and are keen to work collaboratively. We take referrals from Community Mental Health Teams, Adult Social Care, Self-Referral, GP'S, other proffessionals and family members. This is all depedent upon funding and available space.